For many years, robots have been used simply to replace human labor, automating processes like welding and painting for mass-fabrication. Today, Industry 4.0 demands customization, which has been a core topic for architecture, even before the first industrial revolution. The Chair of Individualized Production in Architecture at RWTH Aachen University was founded in 2015 by Prof. Sigrid Brell-Cokcan in order to research & develop processes for the intelligent integration of robotics in the construction of architecture. In the last decade Sigrid Brell-Cokcan together with Johannes Braumann has been pioneering the easy use of industrial robots for the creative industry. She is director of the new Chair for Individualized Production in Architecture (IP) at RWTH Aachen University and currently the president of the Association for Robots in Architecture (RiA) co-founded in 2010. 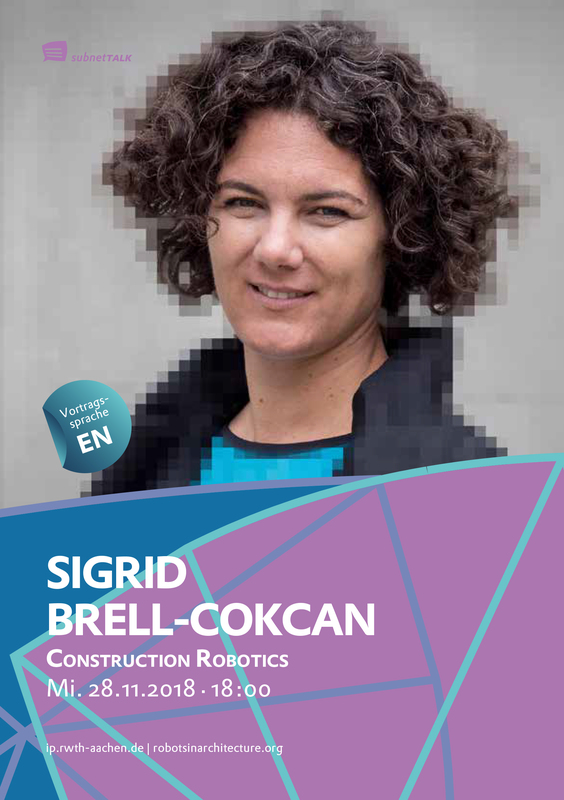 In 2016 Sigrid Brell-Cokcan has joined forces of RiA with euRobotics and co-founded the new Topic Group for Construction Robotics within Europe´s biggest public private partnership SPARC. As one result the new Springer Journal on Construction Robotics was launched with her as chief editor at the end of 2017.